A garage door is simple to operate. Thanks to modern conveniences like the automatic opener, keeping your home secure and accessible has never been easier. However, behind every overhead door is a complex series of pulleys, cables, and springs that work together to make an otherwise cumbersome task an everyday occurrence. So when you find that your overhead door is behaving strangely, it’s time to let our trained repair technicians handle things. Our garage door spring repair in Plano, TX, ensures your investment remains in top, serviceable shape. Garage and overhead doors employ the concepts of physics for everyday operation. Many of these doors include either torsion or extension springs to serve as a “counterbalance” to keep the door open. These components are kept under high tension so that your installation remains secure and stable. As such, if these components fail, it can pose an immediate safety hazard to you, your guests, and family. 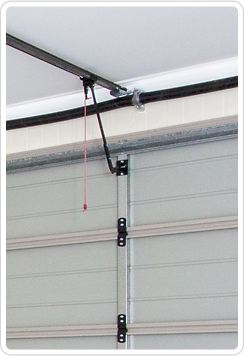 On average, garage door spring assemblies have a service life of 10 years. This term can be shorter or longer depending on a variety of factors, including the effects of the weather and usage habits. These springs are always under such high tension. Therefore, it is necessary to have a well-trained and experienced repair technician to inspect your total assembly to gain a better understanding of the nature of your problem. In many households and even some businesses, overhead doors act as the primary point of entry. So when these installations malfunction, you might find it difficult to perform everyday tasks in and around your garage. Whether you own and automatic opener or still do things the “old-fashioned” way, you should always be aware of discrepancies in the operation of your overhead door. Even the smallest signs of trouble can reveal larger problems can result in costly repairs. Count on our technicians for decisive garage door spring replacement. As part of our overhead door repair services (link to 2P, Plano geo), our company restores the safety and security of your installation. We thoroughly inspect the entirety of your overhead door system to determine the cause of your problem. As a result, you receive decisive, cost-effective service. We strive to provide value-oriented service so that you are completed satisfied with our work. Our garage door contractor offers free estimates. On top of that, we facilitate same-day or emergency services according to your specific needs. Together with our 24/7 lives support you can rest easy knowing that your installation is safe with us. Contact our company to request an estimate for garage door spring repair. We proudly serve commercial and residential clients throughout Frisco, Plano, Mckinney, The Colony, Prosper, Aubrey, Lewisville, Little Elm, and Allen, TX and the surrounding areas.